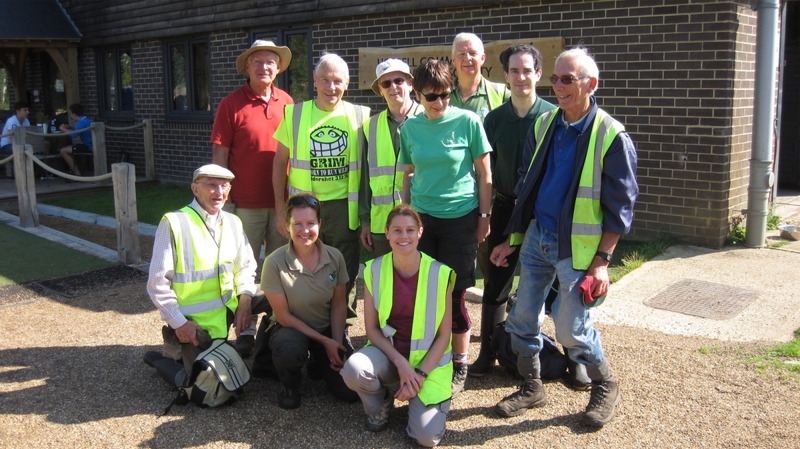 On 1st September, a team of volunteers from Fleet Pond Society (FPS) visited Horsell Common, near Woking in Surrey, to carry out a volunteer task. In 1904 the Lord of the Manor was finding it difficult to stop despoliation of the Commons under his ownership. An attempt to get the Horsell populace to vote in a referendum, on “whether our Commons shall be preserved and protected”, or whether they “shall be left as now, to be the sport of Incendiaries, the Common receptacle of all kinds of refuse… and a camping ground for Gypsies”, was inconclusive. This failure and letters in the Times and other papers instigated a scheme to “invest with the necessary authority some person or persons resident near each of my commons” and in 1910 the Horsell Common Preservation Committee held its first meeting. 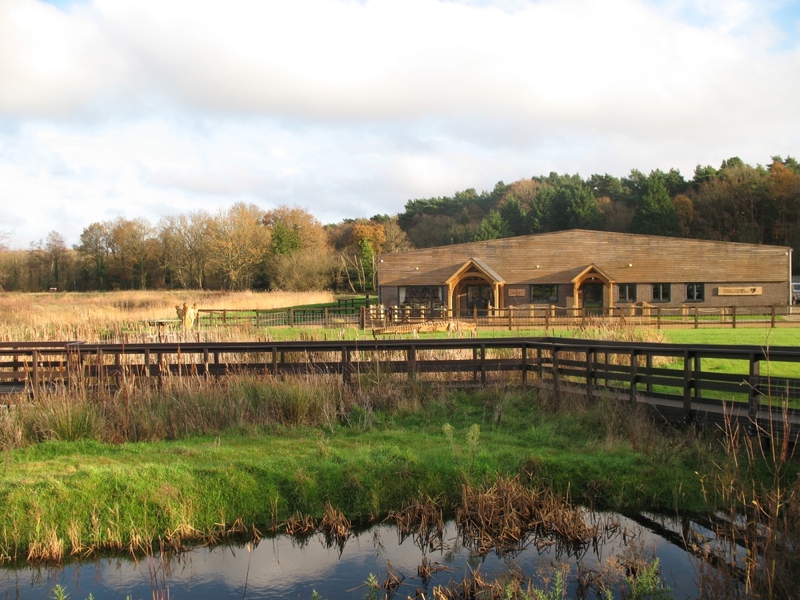 In 2017, Rachel Jones joined the management team for Horsell Common. 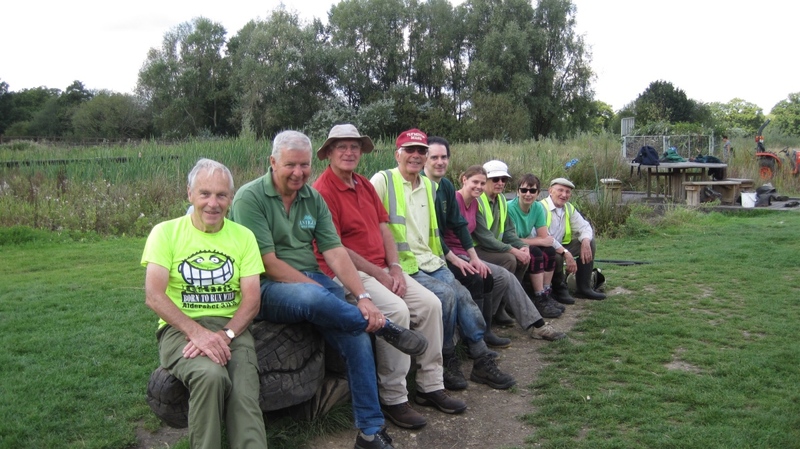 Rachel had been a very popular ranger at Fleet Pond Nature Reserve, liked and respected by the many volunteers at the Reserve. 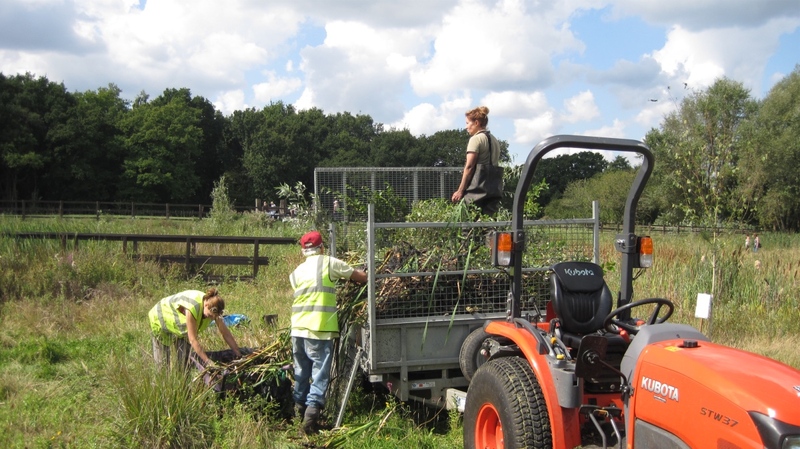 She loved our pond and did volunteer work with Fleet Pond Society in addition to her Hart Ranger role. 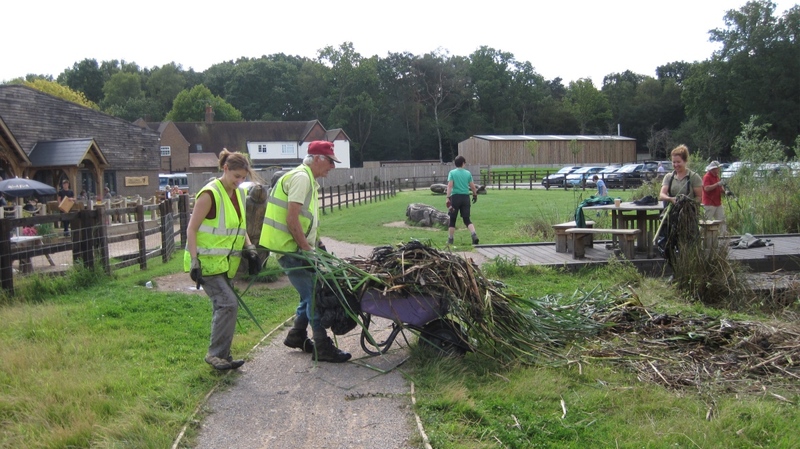 FPS ‘Last of the Summer Wine’ volunteers decided it would be an excellent idea to spend a day working with Rachel at Horsell. 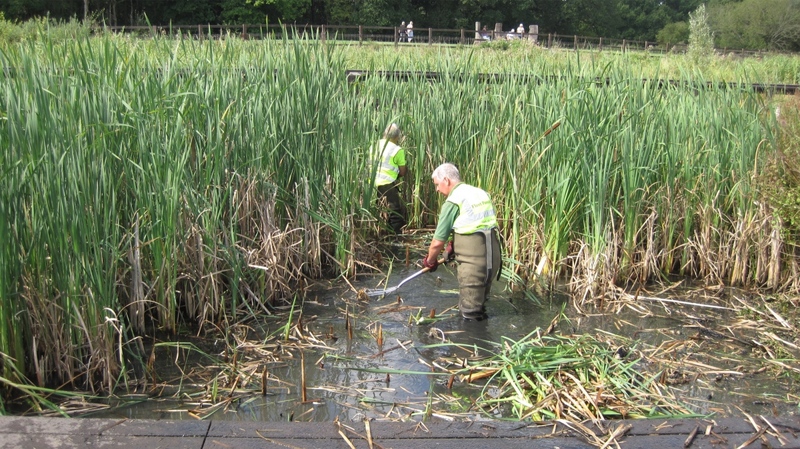 On 1st September nine of us went to Horsell and spent a fun time getting very muddy clearing willow and reedmace from a small pond built as a pond dipping area for children. Rachel was delighted to welcome old friends from Fleet Pond and grateful for our help reopening the pond for visiting children to use. Local author H G Wells who lived in Maybury used the Sandpit as the landing site for Martian space craft in his novel “War of the Worlds”. Today it is still a site of pilgrimage for many science fiction fans that travel from all over the world. This entry was posted on Saturday, September 16th, 2017 at 12:04 pm and is filed under Conservation, Events, Volunteering. You can follow any responses to this entry through the RSS 2.0 feed. You can leave a response, or trackback from your own site.